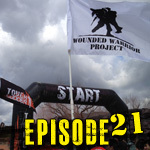 Episode 37 – Because Stone Cold Said So | Getting Dirty with Laurie and Daniel - A Podcast about Obstacle Racing, Training, and Mud Runs. In this episode Laurie Interviews Don Mann from Battle Frog. We also open a can of whoopass and talk about Stone Cold Steve Austin’s Broken Skull Challenge. How you do find out about races in your area? – Check out our race calendar on our site. – Sign up for all the social discount sites : Groupon, Living Social, Zozi, Active. Sign up for a separate email if you don’t want all of those emails in your personal email box . Check out Daniel and Lauire on Keeping up with the Kardashians. But don’t blink! Better yet. Here are a few stills. A few frames later, there is Laurie and our kids. 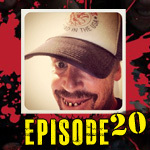 Episode 42 – Breaking Skulls with Heather Hudson Episode 38 – Zombies and Modelo Episode 20 – A FusterClucking Good Time Episode 21 – Cooling Off At Tough Mudderrrrrr!